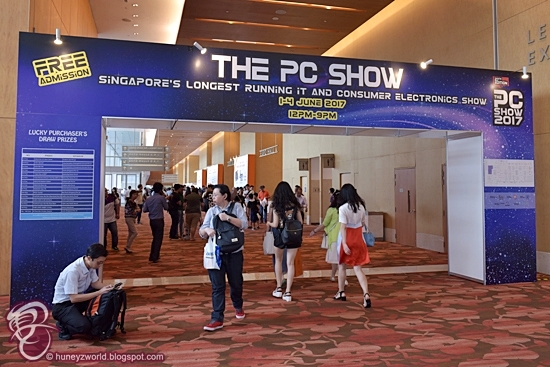 Singapore’s longest running annual consumer technology and electronics fair, The PC Show, returns at the Marina Bay Sands Expo & Convention Centre, starting from today until end of this weekend! To bring people back to the fair this year, the organizer has introduced #Techgether as a theme to get visitors together to enjoy and experience new technology products while shopping for bargain. 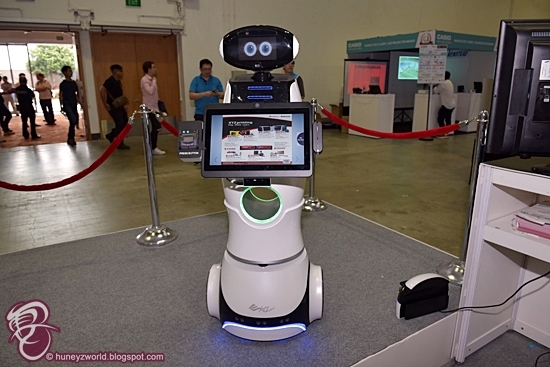 The Amazing Tech Hunt is one such initiative that get visitors to follow a set of clues from a yellow card that can be collected at the lucky draw booth outside Hall B to the latest products and bargains as well as a chance to win a 1-night staycation at the iconic Marina Bay Sands hotel. There are also special zones set up at this year's fair for gamers at the GG Gaming Zone and Know Your Tech no-sales zone for exhibitors such as Creative to showcase their latest technology and hottest products to visitors. 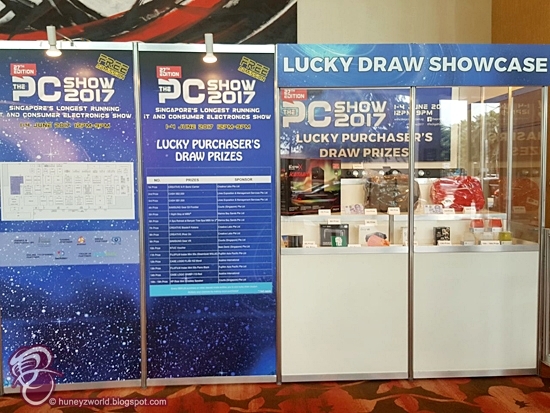 Overall while credit must be given to the organizer for trying to keep the PC Show exciting after 26 years with "refreshing" ideas like Amazing Tech Hunt, I left the fair feeling disappointed. 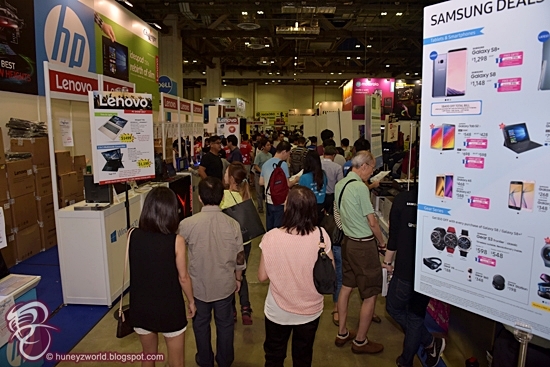 For one, uniqueness of the fair is fast fading as the products and their suggested selling prices are identical to the competing fair running concurrently at Suntec City Convention Center. 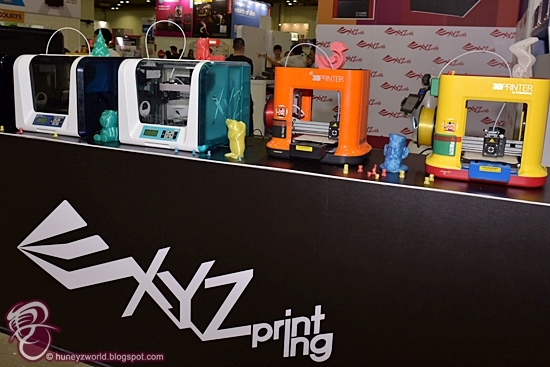 Also, apart from Newstead showcasing 3D printers and Service Robots at the fair, all other major retailers are practically selling the same models of laptop and PC in the same space and that's boring!... 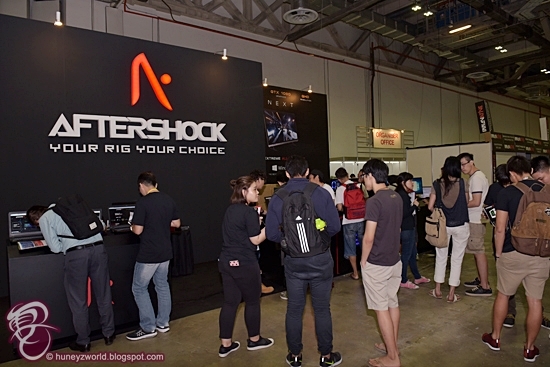 less Aftershock and HP, which own their own booths. Last but not least, the traditional software and peripheral brands are visibly missing at a "PC" Show and what replaces them are credit cards and insurance companies that doesn't seem to fit this year's theme of #Techgether. Nevertheless, do prepare for the expect human jam come this weekend at The PC Show. The opening hours are from 12 noon to 9 pm, Thursday to Sunday, 1 – 4 June. Have a great bargaining weekend ahead! Why Must We Put An Expiry Date On Women? What's In The Skincare Box From LAZADA?